1st World Problems: Which afternoon tea is the best? London certainly has it's fair share of good food to choose from. Afternoon teas are no exception. 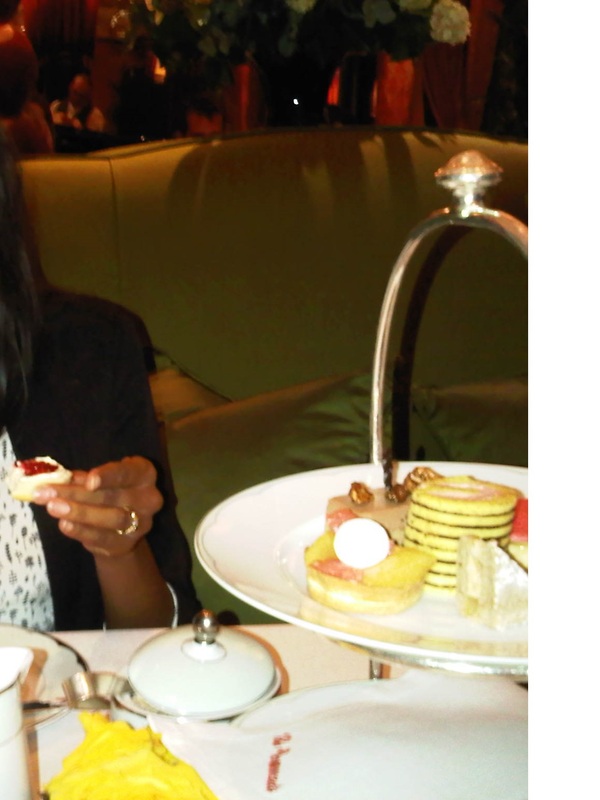 Initially I was going to bring you a top 5...or top 10 list of London's best afternoon teas. Ok, who am I kidding - I was seriously planning on a top 100. I mean, a girl can never have too much afternoon tea. After munching my through many a 3 tier platter of goodies I quickly realised that rating afternoon tea is just too damn difficult because on every 3-tier platter there are things you don't leave, and things you do. So after much deliberation (and further scones consumption) I have decided to split this into 3 categories - much like the great afternoon tea itself: Best for Sandwiches, Best for Scones and Best for Pastries. I also decided that the hunt for the best afternoon tea shouldn't just include London...be prepared, by the tenth edition - I'll have gone around the world! Fresh sandwiches brought around on silver platters - errrr...yes please! Plus, they do not take the term 'finger sandwiches' literally. Coriander bread, cumin bread, sun dried tomato bread, plain or wholemeal with different fillings which means that you don't have to have the same sandwich twice...but you can if you want. Plus...you're in The Dorchester. Swanky! This is a tough one because I'm not the biggest lover of the pastry/sweet things/random cakes tier. In fact, I rarely even bother bar a few bites 'to taste'. However, both The May Fair Hotel and The Ritz were pretty strong in this category. The Ritz brings you 4 pastries/macarons/cake type items on the top tier per usual. They also decide that half way through your afternoon tea you probably need more. After loading you with more scones and tea, they bring around a table with more...dessert. In my case; fresh bakewell tart and lemon drizzle. Thank the good Lord for gluttony...without it, I would have failed the challenge. Actually, thank the creator of Zumba as well...without him I'd be fat...from all these afternoon teas. The May Fair does not bring out endless supplies of food, but it does have an extremely strong top tier: mini millionaires shortbread, mini french buns, mini lemon tarts. Basically, all the desserts you would normally choose to eat, but mini. This is even harder than the last category. While so many places don't give a hoot about their pastries and phone in the sandwiches, any decent place always makes an effort with their scones. However, some places do stand out. Primarily because they wait until you're ready before bringing the scones out, or they keep them covered. So, when you eat the scones they're warm. That's right, warm! As a constant consumer of afternoon tea this guide will surely be revised as my hunt for the perfect 3 - tiers in one sitting continues. I know it's out there...somewhere. And even if it's not, I'm happy to keep eating my way through as many afternoon teas as possible.